First study to examine maternal diabetes as a risk factor for low milk supply finds an association between glucose intolerance and lactation. A new study shows that women with diabetes during pregnancy face a significantly higher risk of having a low milk supply. The Cincinnati Children’s Hospital Medical Center study, published online in Breastfeeding Medicine, adds to evidence that maternal glucose intolerance may impede lactation. Although insulin resistance is common among obese women, and obesity is a risk factor for poor lactation outcomes, the study is believed to be the first to examine maternal diabetes as a risk factor for low milk supply. 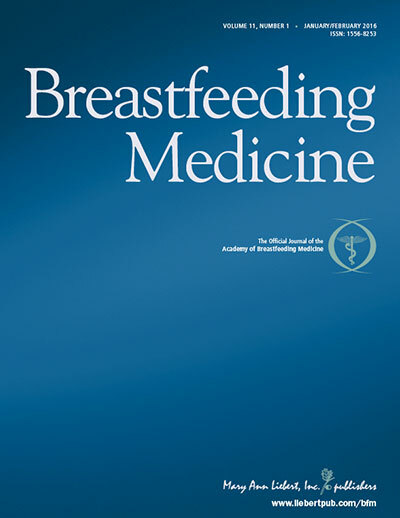 The study was conducted using existing electronic medical records of 641 women who made first visits to the Center for Breastfeeding Medicine between June 1, 2011, and May 31, 2013. All women were no more than 90 days postpartum and highly motivated to breastfeed. Mothers with a diagnosis of low milk supply but no other lactation problems, such as latching onto the breast, were compared to mothers with lactation problems but without low milk supply. Nearly 15 percent of those in the first group had a history of diabetes during pregnancy, while just over 6 percent with lactation problems but not low milk supply had maternal diabetes. The study was funded by a grant to senior author Laurie Nommsen-Rivers, PhD, a scientist in the Cincinnati Children’s Research Foundation, from the National Institutes of Health Office of Research on Women’s Health (5 K12 HD0511953). Next articleDoes Everyday Mindfulness Lead to Healthy Glucose Levels?